If you’re looking to develop your understanding of mental health in the workplace, there are now a number of events in the UK that can help. Such events were not around just a couple of years ago, but with more conversations now taking place around mental health in the workplace, conferences focused on this topic are becoming more prominent. Arguably the leading mental health in the workplace event is Mad World. It is described by its team as ‘Europe’s only solutions-focused conference and exhibition with a clear mission: to spark a new era of mental health and wellbeing in the workplace’. After a successful debut event in October 2018 in London, the conference is growing in 2019 with three separate events across the globe – again in London but also in New York and an as-yet location in Asia. We were pleased to be involved with October’s Mad World, which boasted an impressive speaker line-up. This included Sir Vince Cable, Sir Ian Cheshire, Professor Sir Cary Cooper, Dame Carol Black, Lord Dennis Stevenson and Geoff McDonald (more on Geoff in the next section!). The conference featured briefings, keynotes, panels, roundtables, an exhibition area, and some energy boost sessions to ensure delegates were invigorated throughout the day. While at present Mad World is an annual event, Minds at Work, founded by the aforementioned Geoff McDonald, stages regular events for like-minded professionals to come together and break the stigma around mental health in the workplace. Minds at Work is a network of over 200 people across a range of industries and disciplines that believes in creating happier and mentally healthier workplaces. Through storytelling and community, it helps members overcome the challenges of creating mentally and emotionally healthy workplaces where individuals can flourish and organisations thrive. You can find out more about the movement, including its next events, here. Another conference covering mental health in the workplace, again debuting in 2018, was This Can Happen. This event was staged in November and made headlines thanks to the attendance of HRH Prince William, who spoke candidly about his personal experiences whilst working in the air ambulance service. While the previous events have been based in London, the Health and Wellbeing at Work two-day conference is based at the NEC in Birmingham. Although not specifically about mental health in the workplace, the topic is covered alongside other areas relevant to improving the health and wellbeing of staff. It will be next held on 5-6 March 2019, with delegate rates covering both days starting at just £48 per person. It seems to be a good value option and we’ll be attending for the first time in 2019. 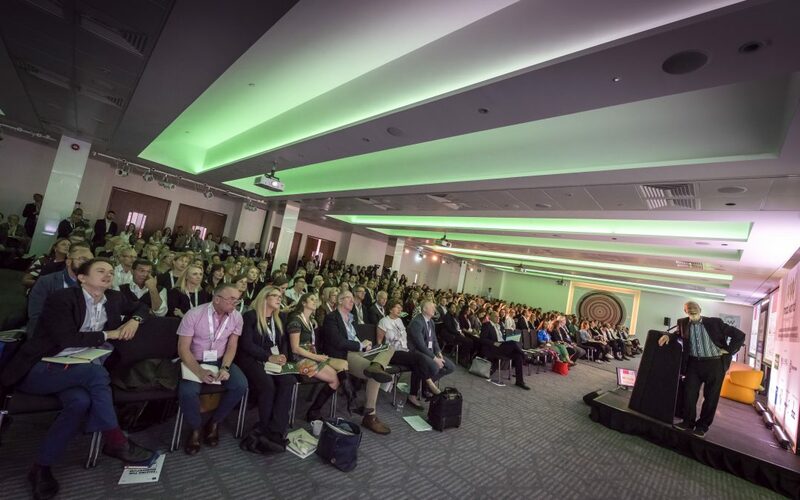 It’s fair to say that some of the previous mentioned conferences are aimed predominantly at larger organisations so delegate rates may be too high for attendees from smaller companies. That said, there are a number of cost-effective and cheaper options available to those from SMEs and start-ups. It’s also worth looking for such events on EventBrite. Additionally, we run regular small scale events which are often free to attend, covering wellbeing and mental health in the workplace. So far they have been staged close to where we are based in South West London – such as our Kingston event and Wimbledon event. However we will be staging events beyond this area later in 2019 and if you are interested in attending or perhaps partnering or speaking, please get in touch via email at: contact@shineworkplacewellbeing.com.